The Roku players are tiny devices without any hard drives, designed specifically to play back video over the network on your TV set. Till now, Roku box is still a special existence form with peculiar format acceptance. Let’s focus on ripping and streaming Blu-ray movies to Roku via Plex with the fast Blu-ray to Roku ripper in the following text. How to Rip and Stream Blu-ray movies to Roku box using Plex channel? – I’d like to convert my Blu-ray into a target format for use on a Plex server to my Roku box using the Plex channel. What can I do before I can drag the file to the Roku box and play the movie? Keep in mind that the Roku/Plex only supports H.264 MPEG-4 certain common video formats. The Blu-ray disc or video files should be compatible with Roku box both in formats and specifications. 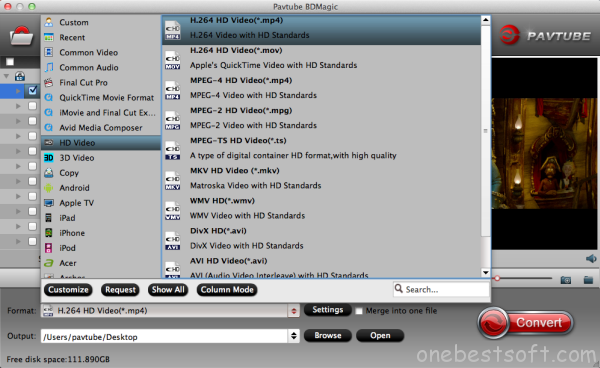 In order to stream Blu-ray from computer to Roku via Plex channel, the first thing you should do is to rip/convert Blu-ray to Roku with some professional Blu-ray ripping program, such as Pavtube BDMagic for Mac (or ByteCopy for Mac). 1. Insert Blu-ray disc into the BD drive, on best Blu-ray to Roku Converter, click “load Blu-ray” button. 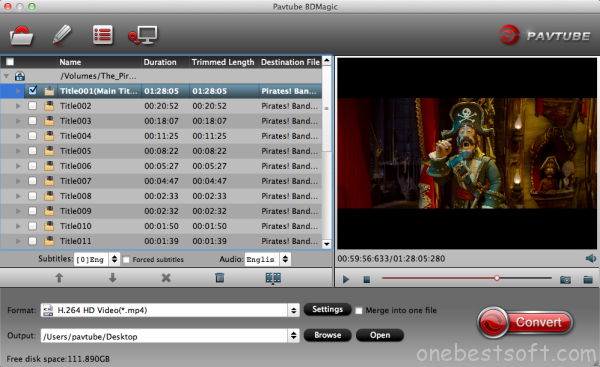 It doesn’t necessarily to be a Blu-ray optical media, it can also be an Blu-ray folder or ISO files to be converted to playable digital file format. 2. Click Format bar, here I suggest you choose HD Video > H.264 HD Video(*.mp4). Of course you can choose other output formats like MKV from the output format list as long as they are compatible with the Roku media player/Plex. Also you can rip Blu-ray, DVD to Plasma TV and Amazon Fire TV via Plex. a. If you like to tweak a little, in the settings, you are allowed to change the frame rate, resolution, bitrate and other specifications of the videos, if the tech terms look taunting to you, proceed to the next step. After that, you can click on “Save as” to rename the profile, such as “Roku or Plex (*.mp4)”. Next time, you can easily find it in “Custom” category. b. Before conversion, you may want to trim the unnecessary parts from the movie. 3. Click Convert to rip Blu-ray movie to MP4/MKV for Roku. After the conversion, drag a converted movie to log in Plex server and add them to the library of Plex. 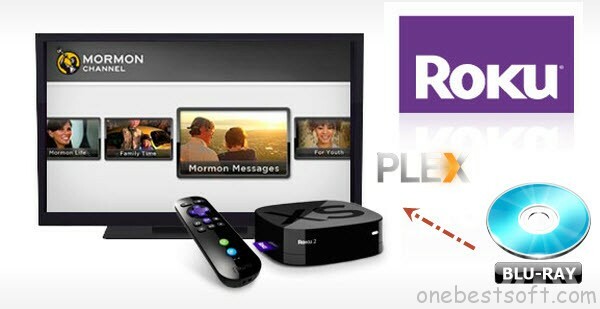 Then set up Plex channel run on Roku media player, you can freely watch Blu-ray with Roku player! Can I play 4K H.265 through Plex onto Roku 3?